The zBoost CANT-0042 Yagi Antenna An has been discontinued and replaced by the new and improved Wilson 75 ohm Yagi Antenna. The Wi-Ex zBoost High Power Wide Band Directional Outdoor Antenna (CANT-0042) is the most powerful outside antenna upgrade for Wi-Ex signal boosters. 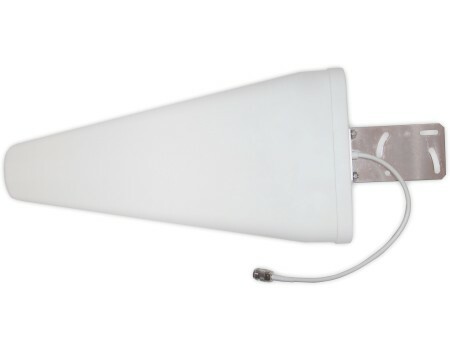 By switching from the antenna that is included with Wi-Ex boosters to this directional antenna, you can expect two to three times the coverage area inside. 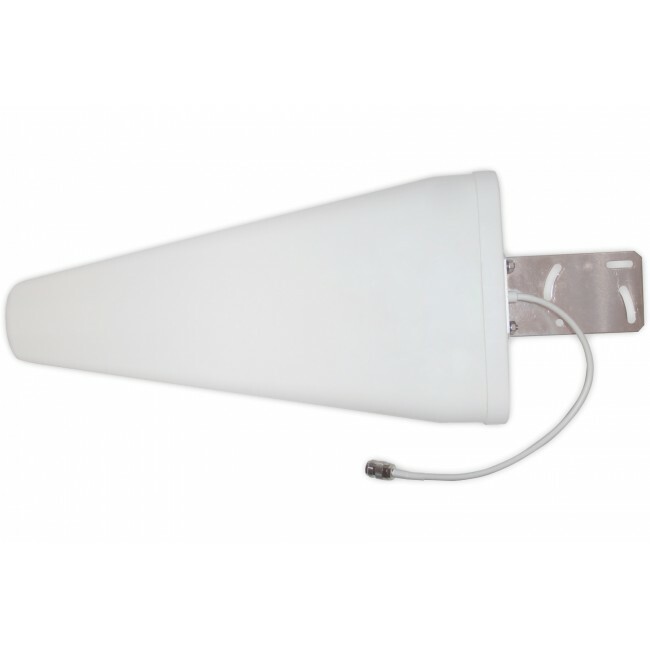 The CANT-0042 directional antenna features 10 dBi gain on the 800 MHz cellular frequency and a 12 dBi gain on the 1900 MHz PCS frequency. The antenna comes with mounting hardware for attaching it to a pole. Directional antennas work best when you have line-of-site between your roof and your carrier's cell tower. If you have lots of trees, mountains, hills, buildings, or other obstacles between you and the tower, a directional antenna may not be ideal. Because directional antennas must be aimed, they are best for covering a single carrier.